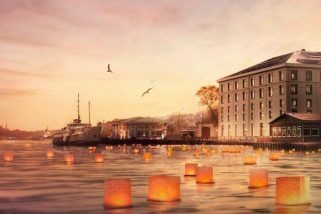 The first Swissotel Living, an exclusive extended stay suite concept by Swissotel Hotels & Resorts, debuts at Swiss hotel Istanbul The Bosphorus, Istanbul in time for the internationally recognized property’s 20th Anniversary. A EUR 20 million, 2.5 year undertaking, the new sixty-three elegant suites are built adjacent to Swissotel The Bosphorus. Rooms range in size, from studios to 1, 2 and 3 bedrooms, and offer the ultimate in style and luxury while still allowing guests to enjoy the full range of hotel services within the comfort of their own four walls. More Swissotel Living residences are planned for the future in other Swissotel destinations. All services and facilities offered by the adjoining five-star Swissotel The Bosphorus, a “Leading Hotel of the World,” are available to Swissotel Living guests, including the 43,000 square foot, 14 room Amrita Spa & Wellness facility. The comprehensive range of amenities includes the fashionable Gaja restaurant, tennis courts, indoor and outdoor pools, room service, the Business Center, and extensive gardens spanning 65 acres. Tenants have exclusive access to the building’s rooftop pool and roof terrace. Conceived by top designer Khuan Chew, the Swissotel Living apartments, which are adjacent to Swissotel The Bosphorus, Istanbul, reflect her distinct, highly unusual style. The ultimate in modern living, each apartment is thoughtfully laid out so as to make the most of the panoramic view of the Bosphorus, and also boast state-of-the-art technology, from LCD TVs to home cinema, fully equipped kitchens and exquisitely appointed bathrooms. The sleek interior design incorporates rich cocoa and mocha color schemes throughout with steel accents. Rates at Swissotel Living, The Bosphorus, Istanbul start at EUR 600 for a studio / night, and range up to EUR 6000 for a 3 bedroom suite / night. To book your stay today, visit www.swissotelliving.com or call 90 212 326 8112.